Although it's over half a year away, you should already be thinking about the 2017 SXSW Music Festival and SXSW Conference. As one of the largest music festivals of the year (over 30,000 attendees last year! ), it should be on your radar as either the first or the next big festival you play. Last year, all kinds of artists – from small indie acts to huge names like Erykah Badu – performed, gained massive media exposure, and made lasting connections in the industry. And the festival only plans on getting bigger, so this is the time to take advantage of the discounted early application price of $35 before it ends on September 9, 2016. Not quite sure what the fest is all about? 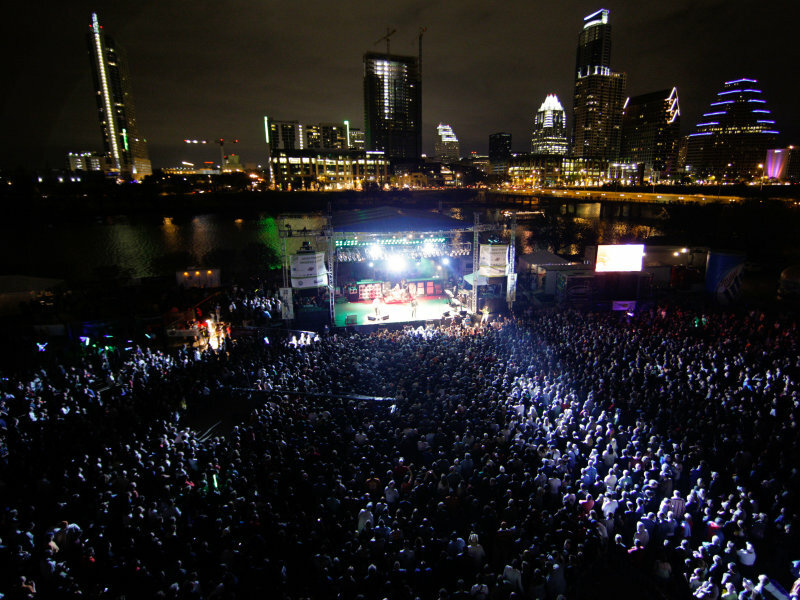 Here are the top eight reasons why every band should play SXSW at least once! Yup, you read that correctly. Last year, SXSW hosted over 2,200 performers (with 600 of those being international) across over 100 different stages, representing rock, pop, hip-hop, folk, electronic, experimental, blues... well, you get the picture. More artists than you could even hope to name will be at your disposal to watch, listen to, and create meaningful relationships with. Even though you probably won't get to see them all, just having that kind of access will be both a big learning experience and a super easy way to form new connections. If you're a small-time indie artist, there's a very good chance that SXSW will be the biggest show of your music career thus far. While we can't guarantee that all 30,000 attendees will show up at your performance, it's still an incredible opportunity to grow your fanbase, get connected on social media, and say hello to those who already know and love you (a simple but great way to create diehard fans). Festivalgoers love meeting the bands, so take advantage of the magical atmosphere a huge festival like SXSW creates. Run concurrently with the music showcases, SXSW hosts dozens and dozens of industry panel sessions led by some of the brightest and most influential minds in the music industry. With past keynote speakers such as Snoop Dogg, Lady Gaga, and Dave Grohl, along with many other industry pros giving their sage advice, you are sure to gain a fresh perspective and outlook on the latest trends and developments in the music industry. And with your artist wristband, you not only get get complimentary access to the panels, but also the mentor sessions, Artist Central, the SXSW Trade Show, and of course, official SXSW showcases. At SXSW, you're surrounded 24/7 by label executives, talent scouts, managers, recorders, engineers, film producers, journalists, and bloggers. These guys aren't just on vacation – they're constantly on the lookout for that one rising star that catches their eye. Be that artist. Show up a few days early and go to as many different exhibits as you can and talk to people. Everyone is here to network and meet new people, so there's absolutely no shame in walking up to a stranger and introducing yourself – it's not only welcome, but expected! There's simply no other event in the world where you'll find this many music industry folks congregated in the same place at the same time, so SXSW is, hands down, the best place to network. As a DIY artist, you may fear that distant music festivals are a huge strain on the bank, with the airfare or gas, booking a hotel, food, and more adding together to create a hefty cost. However, not only will playing at SXSW grant you complimentary food, drinks, and access to all daytime and nighttime programming, but you will basically have people throwing free stuff at you wherever you go. It's not just musicians who are there showing themselves off – tons of major brands and startups also use SXSW as a platform to generate awareness, which, more often than not, means free promotional goodies. Not to mention the plethora of free parties that could keep you up all night if you let them. On top of that, you need to remember that attending SXSW is an investment in your career that, if you play your cards right and really work hard to make the most of it, could pay off tenfold (or more) in the future. SXSW is basically a six-day-long party that everyone in the world is invited to. Just walking down 6th Street, you won't be able to escape music playing from every direction, entrepreneurs pushing their latest invention in your face, and some huge A-lister you didn't even consider as a real person just walking down the street. It will be a lot to take in, and the sensory overload will probably exhaust you, but you won't regret a second of it because you'll have experienced the power of creativity and innovation in a whole new way. It'll simultaneously be the most hectic and most exciting week of your entire year, guaranteed. Beyond being home to such phenomenal music festivals like SXSW and Austin City Limits, Austin is a beautiful city that has a lot to offer – both fun and refreshing – that you might as well experience while you're there. If you're looking to relax after an exhausting six-day festival, check out the Barton Springs Pool, the city's natural swimming hole. If you're a foodie, you can't leave without having a breakfast taco (or a few) – definitely try Torchy's! If you're the rough and rugged kind, climb up Mount Bonnell for a spectacular view of the city and surrounding area. Don't miss this opportunity, because if you thought there was a lot to do at SXSW, the city of Austin will amaze you even more. If it isn't apparent enough, we'll just say it: SXSW is no joke. You'll be sharing the title of "SXSW performer" with huge names like Prince, Ellie Goulding, and Kendrick Lamar (just to name a very select few). As Sonicbids band Great Caesar, who played SXSW last year, put it, "There's a credibility that comes with having played this festival." Fellow indie acts will be inspired by you, and industry execs will be that much more likely to pay attention to you and take you seriously with SXSW under your belt. Performing at SXSW will be a huge milestone in your music career, but words simply can't do it justice – you just have to experience it yourself to see. Apply to SXSW before September 9, 2016 to get the early pricing discount, and start planning well in advance to take advantage of this incredible opportunity for your music career!